iDancehallReggae.com::Caribbean Lifestyle Media::: DELUS AND KONSHENS: NEW SINGLE "LIVE MI LIFE"
DELUS AND KONSHENS: NEW SINGLE "LIVE MI LIFE"
In the July issue of Triple the Focus E-Magazine in which Konshens was featured on the cover, he was asked if there were any plans to do another collaboration with brother Delus. He responded, "Yes, definitely but both our solo careers have become our main focus so as soon as time allows it, it will get done." Well the time has arrived. The brothers teamed up to record new single"Live Mi Life" on the Mad Panamera Riddim, produced by FE2 Music. 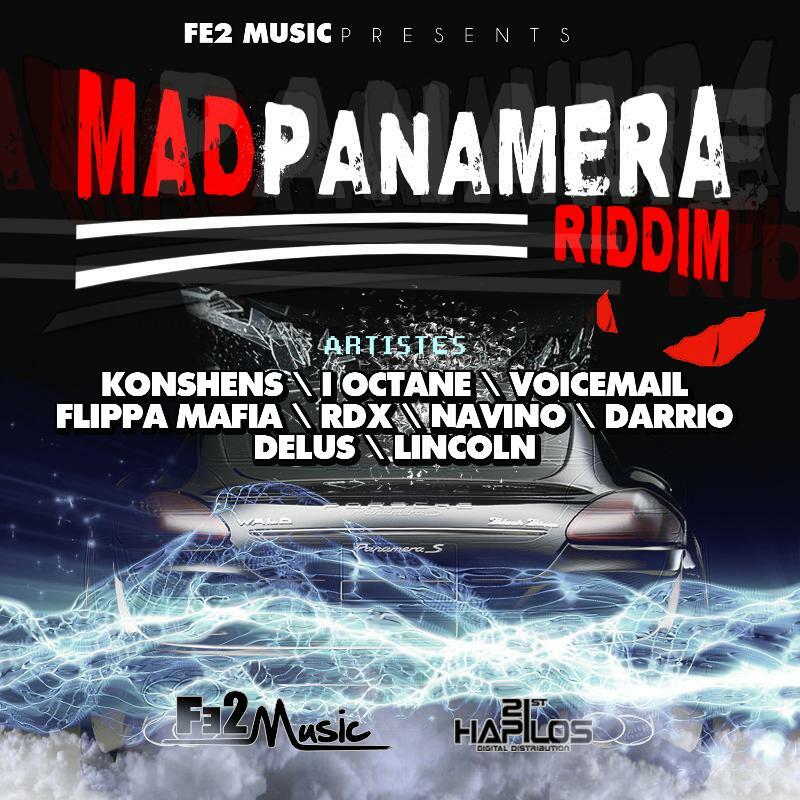 The Riddim also features I-Octane, Voicemail, Flippa Mafia, Navino, Darrioand Lincoln. Fans of both Delus and Konshens have often expressed that the two sound alike, reference singles "She' Happy," "Chalice Load," and have even mistook Delus' single"Another Gal" as Konshens'. However there is no confusing their voices on this track. It is Konshens smooth delivery of - tell you what's really good, got money in my pocket and I'm feeling good - that opens the song, while Delus' raspy singjay style on the second verse that begins - suh wah if mi spend pon gyal, suh wah happen if mi love alcohol - that makes the distinction clear. But way before their solo success, Delus and Konshens achieved duo notoriety when they recorded under the name SOJAH. Their first single entitled "Medz Pon Di Corner"went number one in Japan in 2004, which afforded them the opportunity to tour in Japan. The tour prompted the release of the duos debut album titled "Sons of Jah." In 2009 they released their Sophomore Album "Modern Revolutions," at which time the duo went on tour in Europe to promote the album. The album featured artists such as Luciano and Iriepathie. "Live Mi Life" is just one of the many singles that both Delus and Konshens are promoting. On the heels of his highly successful album, Mental Maintenance, Konshens kept his fan intrigued when he released dancehall singles "Gal Siddung," "Bubble Gal a Bubble," "Stop Sign," "A Suh Mi Tan," which have been heating up the clubs and airwaves. Similarly, Delus' singles "What Tomorrow May Bring," "Mi Find Har," "Gal My Ting Deh" and his 2011 hit single "Another Gal," have been in rotation on various radio stations which has garnered him wide spread appeal with fans globally. Will there be other projects in the works, Delus remarks, "Without a doubt. We have always worked well together. Even when you don't hear Konshens' voice on my track, his input is definitely there and vice versa."